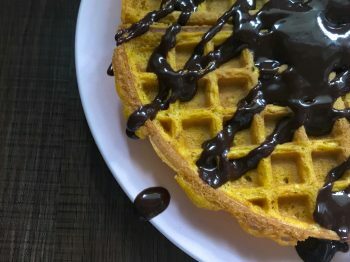 Probably the last of the pumpkin recipes for this year, I give you a sweet-toothed vegan’s champion breakfast – pumpkin spice waffles and a bonus chocolate sauce! 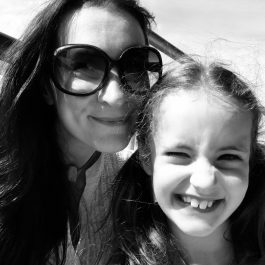 Waffles are still a novelty in this house; I make pancakes a lot for special family breakfasts (that is when the three of us are actually able to enjoy breakfast together – #shiftwork) but waffles tend to be a rarer occurrence. 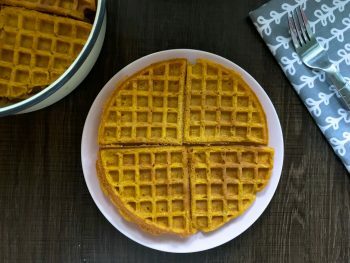 And I’m not sure why; vegan waffles are easy to make and fairly adaptable – I added leftover pumpkin puree to a recipe I’ve been tinkering with for some time now, and they emerged with ease from the waffle maker. Preheat your waffle maker according to the instructions. Mine takes a few minutes to get hot so I switch it on before I start mixing the ingredients. 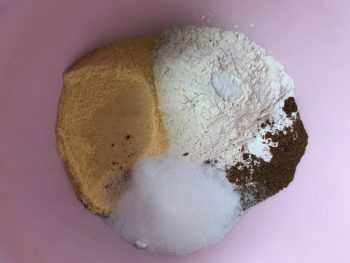 Place the dry ingredients into a large mixing bowl or jug and stir together. 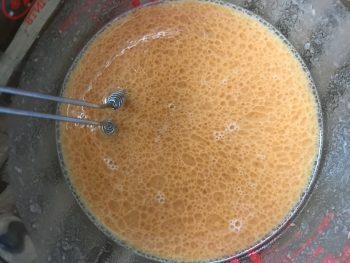 In a separate jug, whisk together the wet ingredients, then pour on to the dry mix. 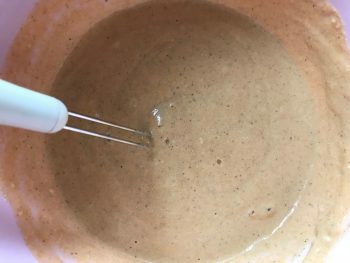 Briskly whisk by hand until you have a relatively smooth batter with no visible dry bits. Cook according to your waffle maker’s instructions. 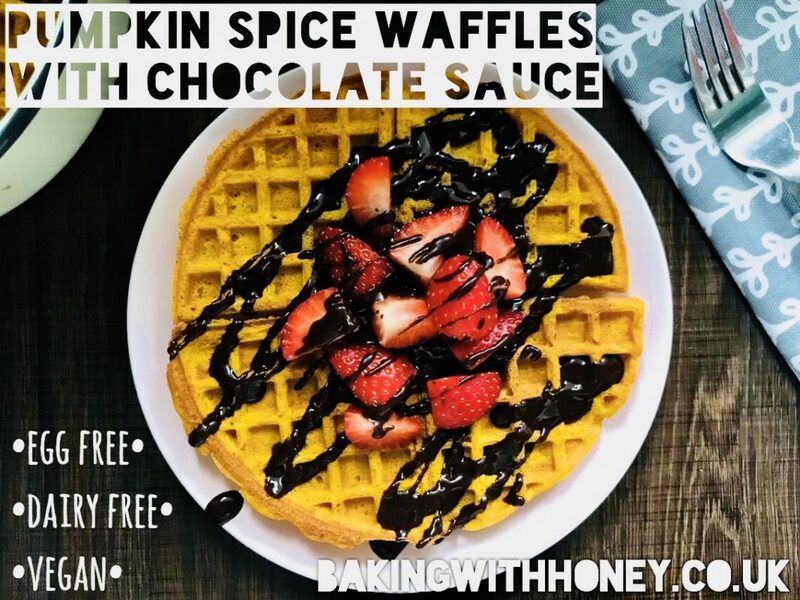 For my type of waffle make, I use a heaped 1/3 cup to measure the batter and I cook them on #4 until done (about five minutes, mine beeps when it’s ready). 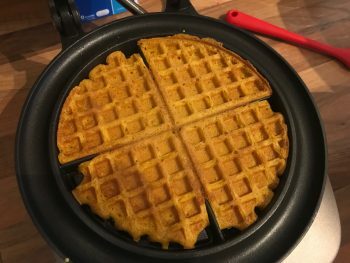 I find waffles are best eaten immediately; but if you make them in advance you can get reasonably good results by carefully reheating in a toaster very briefly. For the chocolate sauce: Simply place all the ingredients into a dish and microwave in short blasts (15 seconds/700w microwave) until melted, stirring in between. 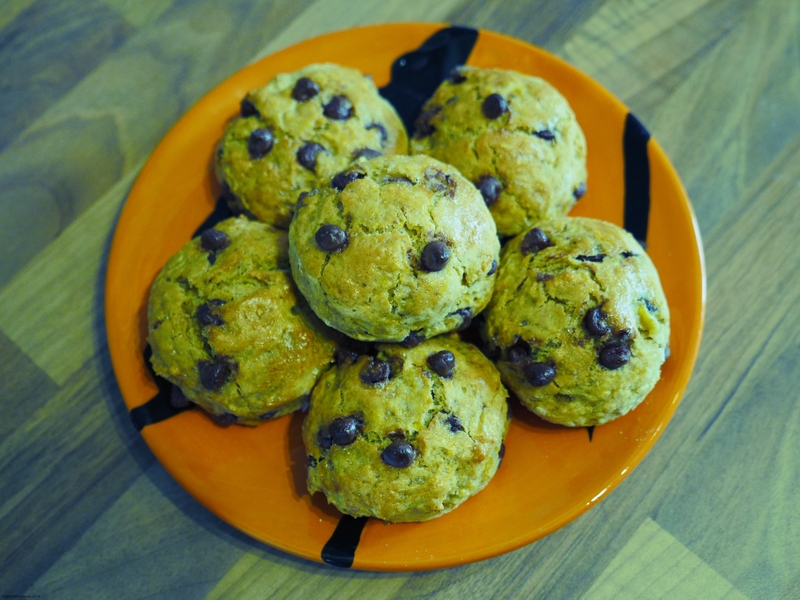 Pumpkin Spice Cake with Orange Zest Glaze Yes They’re Vegan: Best Ever Chocolate Cupcakes With Fudge Frosting Ontbijtkoek “Breakfast Cake” aka Dutch Spice Bread Pumpkin Scones: Chocolate Chip or Cheesy!